Ditch the wallet and go slim. Introducing "Wallet Slayer Vol. 1" for iPhone. Your ID, credit cards, and cash all securely fit against your phone everything you need in one place. 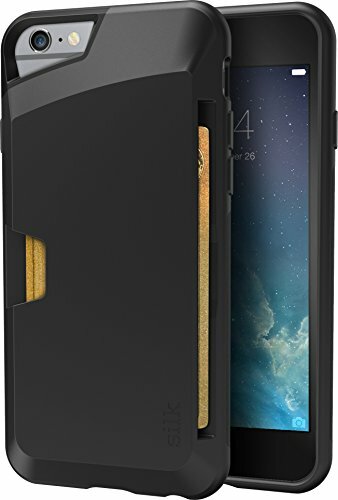 But will it protect your phone? Absolutely. With ultra-light and durable construction it's both thin AND protected. We should all be so lucky. And if pushing buttons is your thing, the improved tactile buttons actually "click" better. With corner air-pockets (think airbags for your iPhone) it truly corners the market on protection, and corny jokes. Get your daily baggage under control and let the "Wallet Slayer" simplify your life. HIGH-GRIP TEXTURED SIDES - Fewer toilet drops! 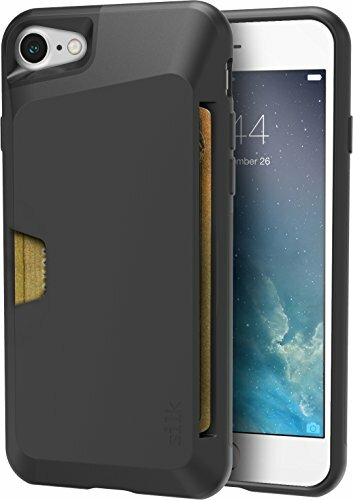 This unique and versatile iPhone 7 Plus / iPhone 8 Plus case features a leather cover that folds up in three different positions, giving you the convenience to watch videos and movies at your desired angle. 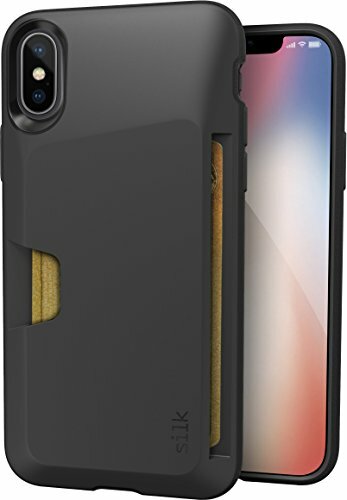 Made from high-quality polycarbonate (PC) and shock-absorbing thermoplastic polyurethane (TPU) built with CornerGuardTM technology, this iPhone 7 Plus / iPhone 8 Plus protective case has been drop tested to meet MIL-STD 810G-516.6, surviving 26 drops from 4 feet high. The TPU layer on the inside of the case does not stretch out over time and ensures your cards remain scratch-free. 1. The cardholder can store up to 2 cards (subject to the thickness of your cards). 2. Wireless charging compatible for iPhone 8 Plus (with the flap open). 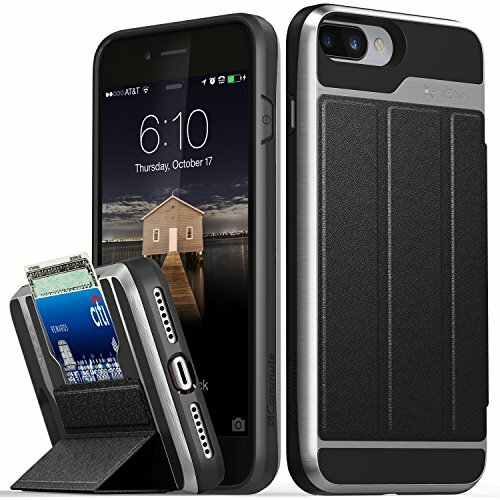 [PATENTED DESIGN IPHONE 7 PLUS / 8 PLUS WALLET CASE] The patented design has a hidden card slot that securely stores IDs, credit or debit cards, plus it does not interfere with Apple Pay. [MILITARY GRADE DROP PROTECTION WITH CORNERGUARD TECHNOLOGY] Dual-layer polycarbonate and TPU design meets military drop-test standard (MIL STD 810G-516.6), surviving 26 drops from 4 feet high. [COMPATIBLE WITH WIRELESS CHARGING] Open the card flap and place flat on Qi charger, and your phone will begin to charge. Note: Metal cards may interfere with wireless charging. Remove before placing on the charger. [COMPATIBLE WITH MAGNETIC CAR MOUNTS] This iPhone 7 Plus wallet case/iPhone 8 Plus wallet case comes with metal plates incorporated in the flap, therefore no additional plate or adhesive is needed. Ditch the wallet and go slim. Introducing the Vault "Wallet Slayer Vol.1" for iPhone. Your ID, credit cards, and cash all securely fit against your phone everything you need in one place. But will the Vault Slim Wallet protect your phone? Absolutely. With ultra-light and durable construction it's both thin AND protected. We should all be so lucky. And if pushing buttons is your thing, the improved tactile buttons actually "click" better. Get your daily baggage under control and let the "Wallet Slayer" simplify your life. Compatible with any smartphone or phone case, including: ^b iPhone 6, 6 Plus Samsung Galaxy S7, S6, S5 Samsung Galaxy Note Series LG G3, G2, Optimus Series HTC M8, EVO, Desire, Sense Sony Xperia Series And More! 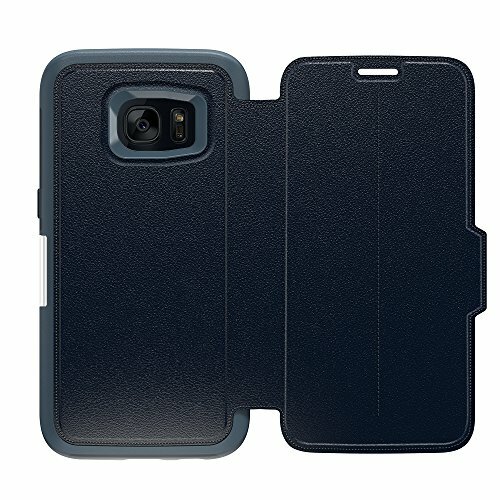 From Maxboost to ensure the maximum protection for the life of your Galaxy Note 8 Wallet Case. 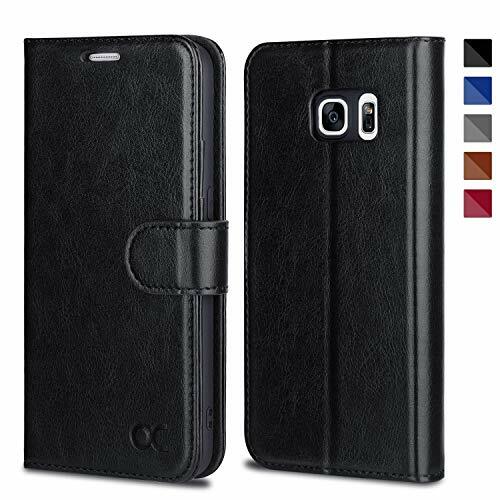 [Compatible with Samsung Galaxy Note 8 (2017) ONLY ] STYLISH AND PROTECTIVE - Quality crafted PU Leather Galaxy Note 8 Wallet Case features multiple color options, as well as four corner and front and back protection. 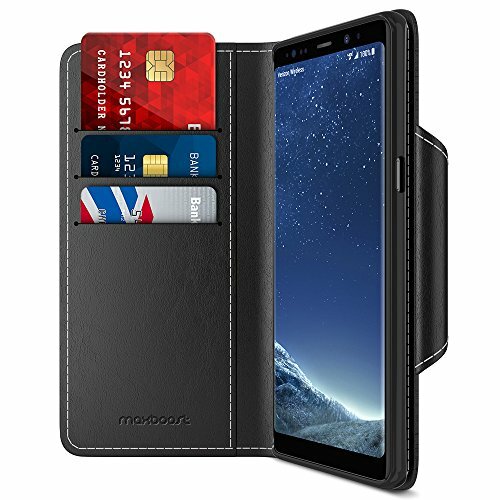 MULTI-FUNCTIONAL - Perfect for on-the-go use, the Galaxy Note 8 card case features 3 card slots, a side pocket for money or additional cards, and a magnetic lock design. LIFETIME WARRANTY - From Maxboost to ensure the maximum protection for the life of your Galaxy Note 8 Wallet Case. Ditch the wallet and go lean. 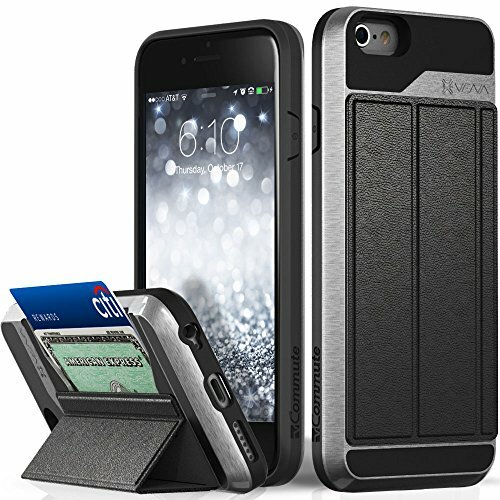 Introducing Q Card Case "The Wallet Slayer Vol.2" for iPhone. Your ID, credit cards, and cash all fit securely against your phone, so you've got everything you need in one place. But will the Q Card Case protect your phone? Absolutely. With ultra-light and durable construction, it's both thin AND protected. We should all be so lucky. The Q Card Case comes with high-grip textured sides ... goodbye toilet drops. 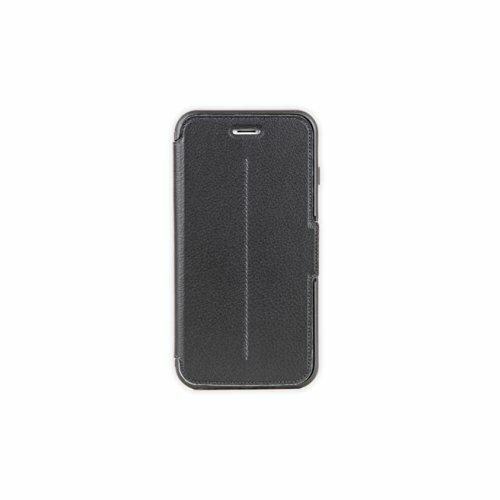 With a credit card kickstand, the Q Card Case uses a card to prop up your phone for easy video watching. Netflix and chill? Get your daily baggage under control and let the "Wallet Slayer" simplify your life. IT HAS A KICKSTAND - Prop up the phone with any card. Netflix & chill? The cover case holds the S7 without being too tight or too bulky, thereby ensuring your phone s security and portability at the same time. Vena vCommute patent-pending design combines convenience and functionality to enhance your user experience with your Apple iPhone 6 / 6s. You can conveniently store your ID, credit or debit cards, business cards or transit cards in the hidden card slot on the back of the case. Better yet, vCommute even works with Apple Pay. Made from high-quality polycarbonate (PC) and shock-absorbing thermoplastic polyurethane (TPU), Vena vCommute prevents your Apple iPhone 6 / 6s from unwanted scratches and blemishes from everyday use. The TPU layer on the inside of the case ensures your cards remain scratch-free. The high-quality shock absorbent thermoplastic polyurethane (TPU) does not stretch out over time. With CornerGuard technology and unique pattern, Vena vCommute protects your Apple iPhone 6 / 6s and disperses the force from shock and impact through the TPU case. Vena vCommute is reinforced with precision cut-outs to suit the Apple iPhone 6 / 6s and provides effortless access to all ports, buttons and features, and even your cards. Magnetic leather flap on Vena vCommute is compatible with magnetic car mounts ? no additional plate or adhesive needed. 1. Compatible with original Apple headphones. Might not be compatible with L-shaped headphones or headphones with larger plug. 2. 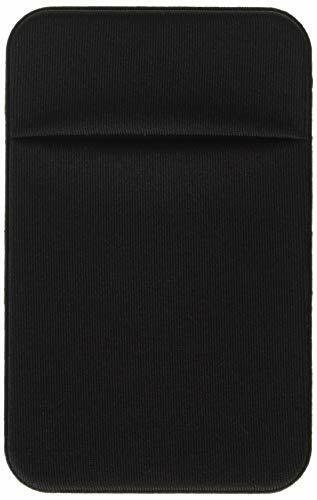 Card holder can store up to 3 cards (subject to the thickness of your cards). 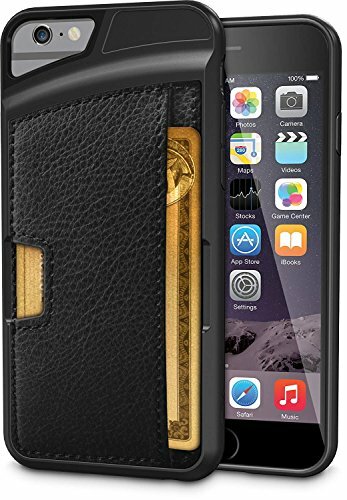 Apple iPhone 6 / 6s (4.7")"
SHIELDON iPhone 6S / iPhone 6 Leather Case [ Wallet Case with 3 card slots and 1 bill compartment] Handcrafted from premium leather, the Wallet Folio Cover for iPhone 6S / iPhone 6 presents a timeless, elegant, sophisticated look. Featuring multiple slots for cards and cash, this contemporary design redefines the boundaries between form and function for the modern commuter. 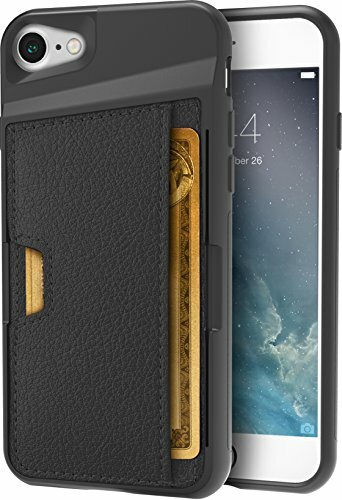 Features: - Genuine handcrafted leather for flip case style, top-grade hand feeling - Folio book design adding styles from every details for iPhone6 / 6S - Separate slots for your ID and cards, as well as a pocket for cash - Form-fitting interior case section securely holds your device in place - Slim profile provides a sleek look and also converting your iPhone 6/6S for hands-free viewing - Integrated magnet closure preventing the flap from moving around as well as protecting the screen - Precise cutouts provide easy access to all buttons, ports & camera Maintenance Instruction: - Keep leather dry & ventilated. - Avoid high temperature, rain, great pressure, scrape, mildew, acid, alkali & moist. - Clean the case lightly with cotton cloth. - Daub the leather care regularly. Lifetime Replacements Warranty We have updated our cases from one year warranty to LIFETIME REPLACEMENTS WARRANTY. If there are any non-artificial product issues about our cases, please contact us immediately. We will send you another new leather case FREE. 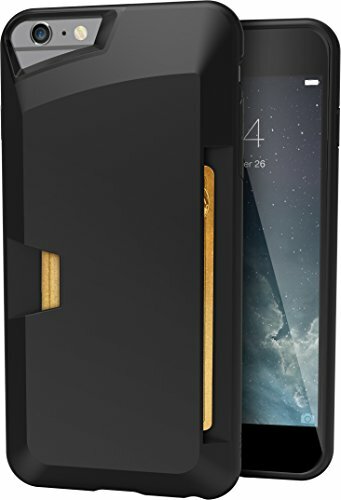 Please Note: This wallet case is only for iPhone 6(4.7"), not for iPhone 6 Plus(5.5"). Please check your phone model. We also have leather wallet cases for other phone models available, so if you ever change phones, you can still stay in our SHIELDON case family. Protection for life, so you can enjoy the moments that matter. 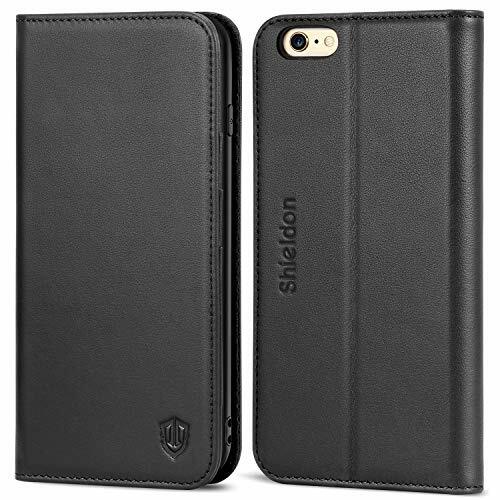 [GENUINE LEATHER] SHIELDON iPhone 6S leather cases are precision made from premium genuine cowhide leather. These hides are selected for quality, strength, character and grain. They look and feel luxurious. *Every single case you receive from SHIELDON will be unique as the leather is a natural material, each case has its own particular texture and look. What may seem like an imperfection is actually what makes it special. 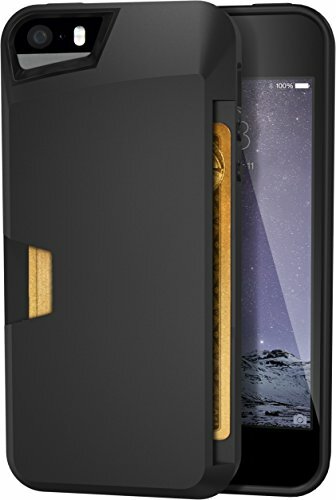 [MULTIFUNCTION] The book case for iPhone 6S and 6 combine the wallet, credit card holder and stand-view feature together into one carrying case. Magnetic closure allows quick and easy snap on installation. The snap-on soft inner shell is strengthened and deliberately shaped to provide full access to all basic functions. [NEVER OUT OF TREND] Beautifully crafted in classic low profile design. Feels great in the hand and has a smooth button action on iPhone 6 / iPhone 6S book case cover. Suitable for everyday life and business trip. [LUXURIOUS PACKAGING] Scope of delivery: 1 x Genuine leather wallet case for iPhone 6 / 6S in the color solid black, 1 x flannelette storage bag (Come in a SHIELDON gift box). Quality crafted PU Leather Google Pixel 2 Wallet Case features multiple color options, as well as four corner and front and back protection. Perfect for on-the-go use, the Google Pixel 2 card case features 3 card slots, a side pocket for money or additional cards, and a magnetic lock design. From Maxboost to ensure the maximum protection for the life of your Google Pixel 2 Wallet Case. [Compatible with Google Pixel 2 (2017) ONLY] STYLISH AND PROTECTIVE - Quality crafted PU Leather Google Pixel 2 Wallet Case features multiple color options, as well as four corner and front and back protection. 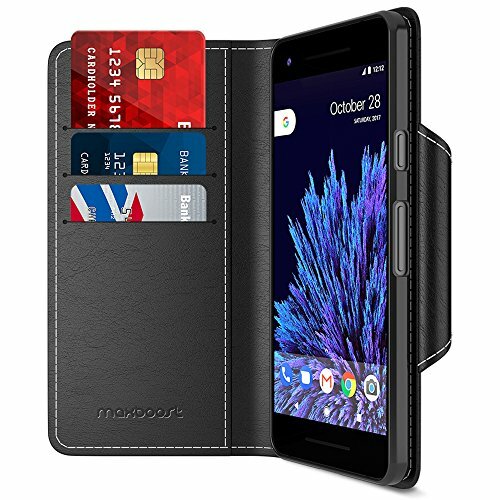 MULTI-FUNCTIONAL - Perfect for on-the-go use, the Google Pixel 2 card case features 3 card slots, a side pocket for money or additional cards, and a magnetic lock design. LIFETIME WARRANTY - From Maxboost to ensure the maximum protection for the life of your Google Pixel 2 Wallet Case. Quality crafted PU Leather Google Pixel 2 XL Wallet Case features multiple color options, as well as four corner and front and back protection. 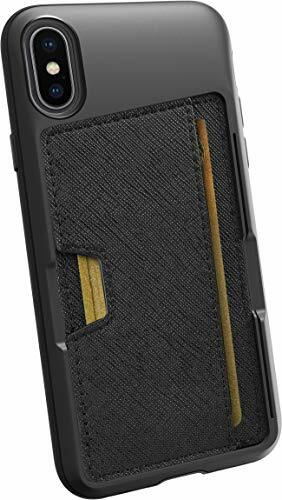 Perfect for on-the-go use, the Google Pixel 2 XL card case features 3 card slots, a side pocket for money or additional cards, and a magnetic lock design. From Maxboost to ensure the maximum protection for the life of your Google Pixel 2 XL Wallet Case. [Compatible with Google Pixel 2 XL (2017) ONLY] STYLISH AND PROTECTIVE - Quality crafted PU Leather Google Pixel 2 XL Wallet Case features multiple color options, as well as four corner and front and back protection. 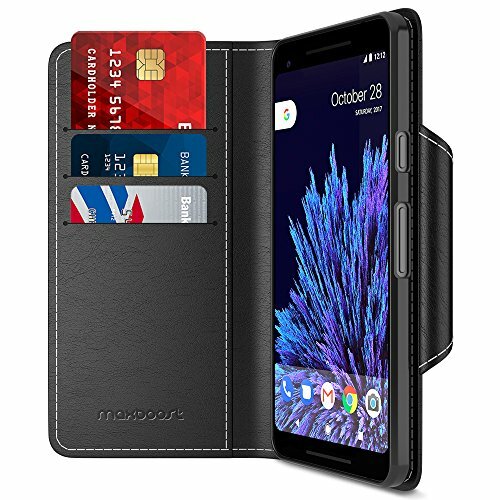 MULTI-FUNCTIONAL - Perfect for on-the-go use, the Google Pixel 2 XL card case features 3 card slots, a side pocket for money or additional cards, and a magnetic lock design. LIFETIME WARRANTY - From Maxboost to ensure the maximum protection for the life of your Google Pixel 2 XL Wallet Case. The Q Card Case by CM4 is an ultra-slim iPhone 7 wallet case that fits 3 credit cards plus cash in an elegant protective case. A patented soft-touch rubber and premium fabric construction blends to form a streamlined pocket to carry just what you need while on-the-go. High-grip textured sides enhance grip to prevent slipping and drops. The Lay-Flat Screen Guard design and Natural Throw buttons provide ultimate screen protection and maintain tactile feedback with your iPhone. The innovative Credit Card Kickstand allows you to use a credit card or ID card to prop your phone into two viewing angles for convenient video watching on the go. 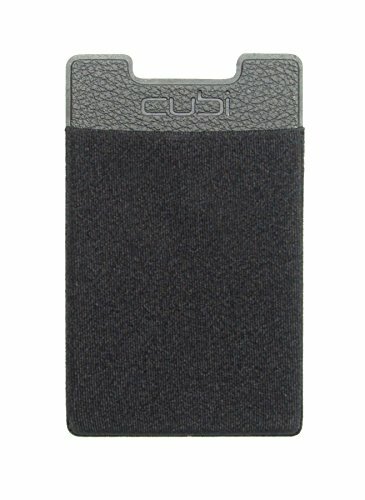 The Q Card Case is backed by a lifetime warranty, so you can feel confident that your device will always be protected. The Q Card Case marries the essentials of a wallet to the form factor of your iPhone 7, providing the ultimate in both convenience and protection. Patented Design Vena vCommute patented design combines convenience and functionality to enhance your user experience with your Samsung Galaxy S7. You can conveniently store your ID, credit or debit cards, business cards or transit cards in the hidden card slot on the back of the case. Better yet, vCommute even works with Samsung Pay. Multi-Angle Magnetic-Lock Stand The foldable leather cover folds up in three different positions giving you the convenience to watch videos and movies at desired angle and comfort. Smart Unconventional Protection Made from high-quality polycarbonate (PC) and shock-absorbing thermoplastic polyurethane (TPU), Vena vCommute prevents your Samsung Galaxy S7 from unwanted scratches and blemishes from everyday use. The TPU layer on the inside of the case ensures your cards remain scratch-free. Thermoplastic Polyurethane (TPU) Interior with CornerGuard TM The high-quality shock absorbent thermoplastic polyurethane (TPU) does not stretch out over time. With CornerGuard TM technology and unique pattern, Vena vCommute protects your Samsung Galaxy S7 and disperses the force from shock and impact through the TPU case. Effortless Access Design Vena vCommute is reinforced with precision cut-outs to suit the Samsung Galaxy S7 and provides effortless access to all ports, buttons and features, and even your cards. Magnetic Car Mount Friendly Magnetic leather flap on Vena vCommute is compatible with magnetic car mounts no additional plate or adhesive needed. Note: 1. Compatible with original Samsung headphones. Might not be compatible with L-shaped headphones or headphones with larger plug. 2. Card holder can store up to 3 cards (subject to the thickness of your cards). 3. Card holder compartment might hinder NFC capability and wireless charging. Introducing Strada, the only leather smartphone folio case for your iPhone 6 Plus and iPhone 6s Plus that combines modern, slim, and sleek style with trusted OtterBox protection. Genuine leather iPhone 6 Plus and 6s Plus folio case (slim, sleek and pocket friendly), with a vertical cardholder slot to keep your cards in place. Trusted OtterBox protection: Dual-materials provide maximum protection against drops, bumps, scratches and scrapes. Easy installation: One-piece case slips on and off in a flash. 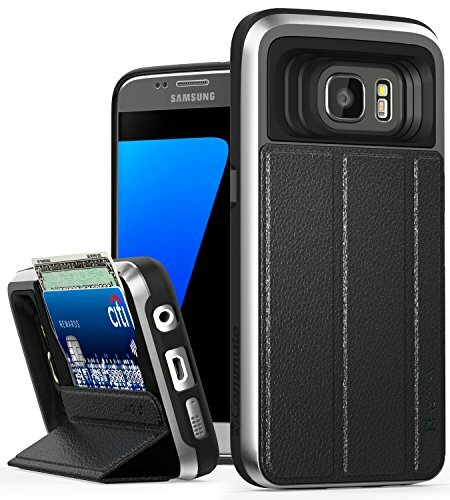 Introducing Strada, the only leather smartphone folio case for your Samsung Galaxy S7 that combines modern, slim, and sleek style with trusted OtterBox protection.